In this podcast, Jack Goldstone of George Mason University discusses the world’s demographic stresses in the coming years. In parallel to a growing trend of population aging in developed countries, much of the world will remain young, growing, and urbanizing, he said. The choices these growing countries make over the next few decades will have reverberating effects for the rest of the world, from conflict potential to the spread of stable democracies. 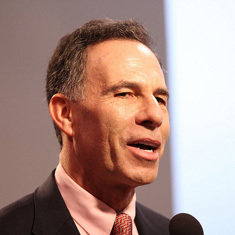 Goldstone spoke at the Wilson Center on February 26. Download his slides to follow along with the presentation.